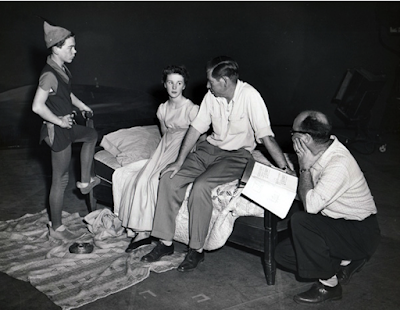 Nice production photo with sequence director Wilfred Jackson (next to a kneeling assistant) discussing a live action reference scene with actors Bobby Driscoll and Kathryn Beaumont. 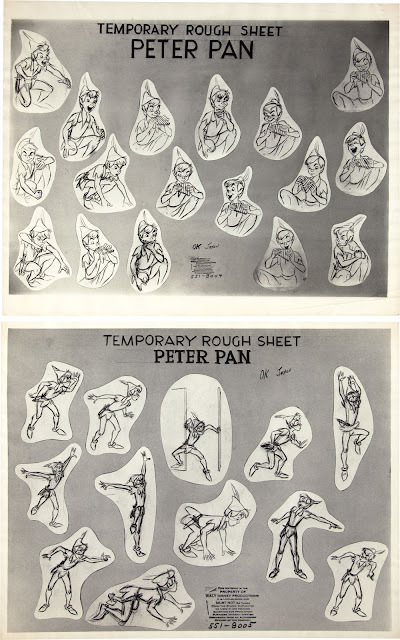 You can see in the model sheets below, how much animator Milt Kahl modeled the appearance of Peter Pan after Driscoll. 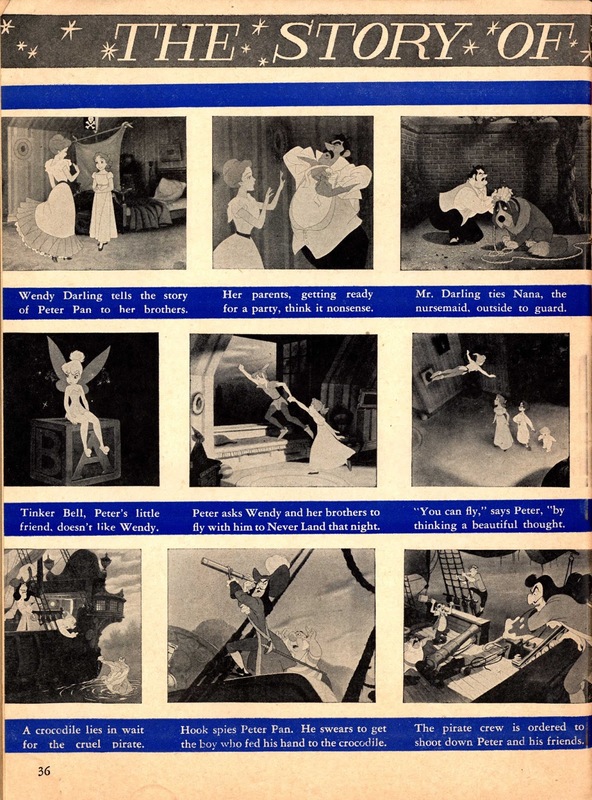 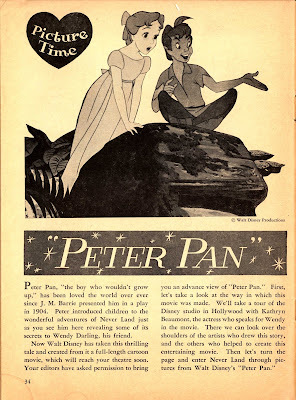 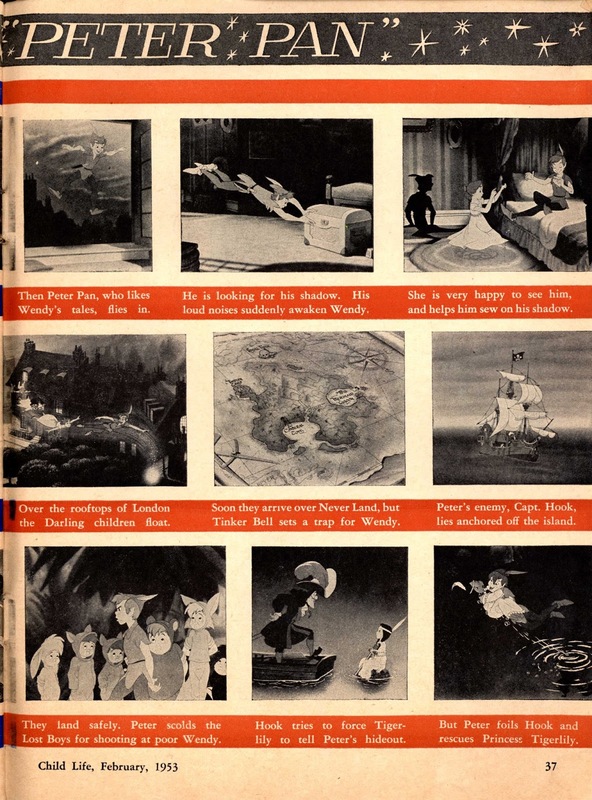 Milt said once that the character of Peter Pan was interesting to him at first because of his weightless way of moving, but once he had that figured out he became a chore to animate almost like the Prince in Sleeping Beauty. I sure wouldn't be able to tell from those gorgeous key poses on the model sheets. 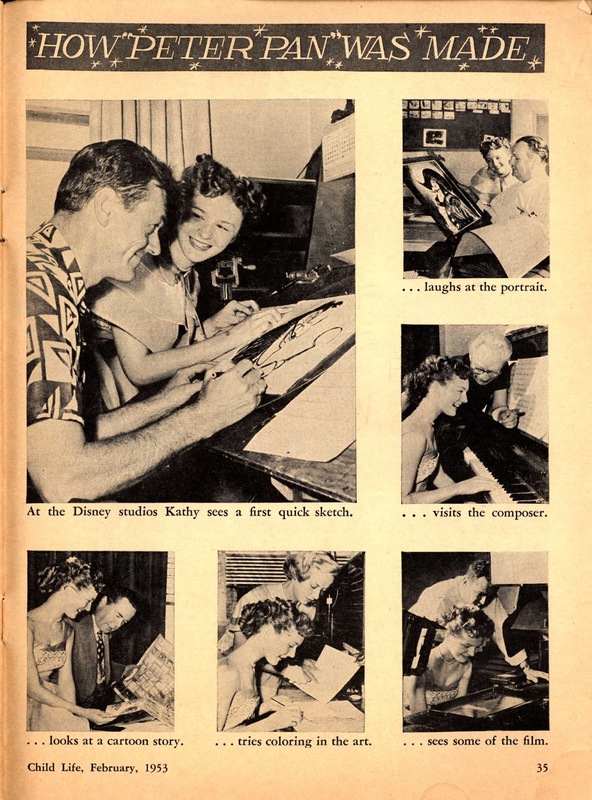 A magazine article from 1953. 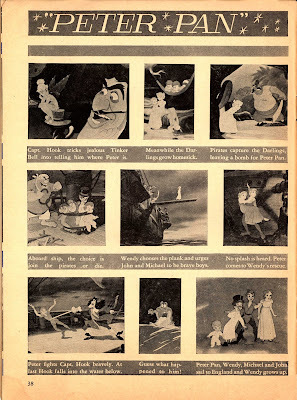 It's interesting to see how well the film stills hold up as black and white images. Perfect lighting and contrast. 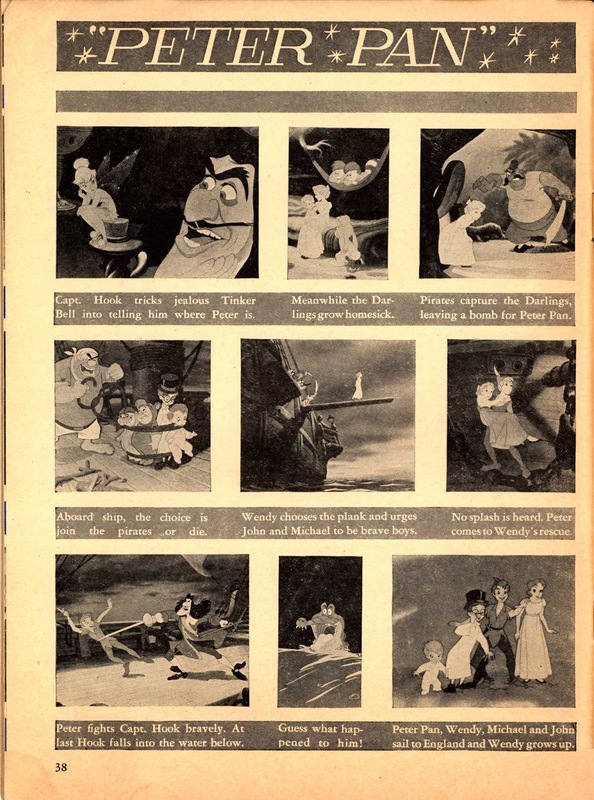 A couple of iconic color images from the film.